On our store you can choose the pants woman model capri that you prefer. Their length under to the knee makes them perfect for whatever type of outfit. In combining with shirts, t-shirt, tops, are ideal to create the look that you desires, both it sporting, casual or more elegant. 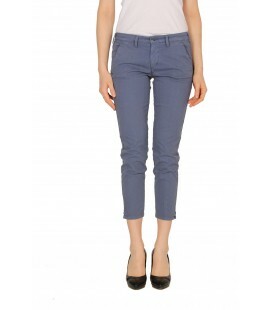 Realized in denim, the capri pants are the element passe-partout of your wardrobe. Do you spend a lot of time in front of the closet wondering you what could you wear? On Letmeoutlet you will find the solution to an unbelievable price: top quality to a factory price! you choose the article, you follow the instructions and in few days we will send you everything to your house!